More Carter Scenes to Come on The Bold and the Beautiful! 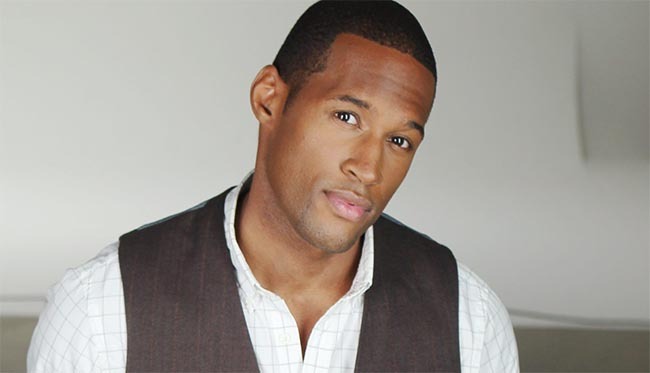 Oh soap sweetness - Lawrence Saint-Victor has more Carter scenes to come on 'The Bold and the Beautiful'. We certainly can't get enough and we're excited to see what's to come. The show's publicist, Eva Blaser was very excited t have Saint-Victor in the studio today taping scenes which are yet to come. What could bring Carter back on the scene? Will there be some Spectra/Forrester trouble ahead? It hasn't been that long since we last saw Carter but what would be extremely exciting is seeing Carter finally get a romantic pairing. So, who do you think is the right 'gal' for this hunk? Soap Opera News: More Carter Scenes to Come on The Bold and the Beautiful!